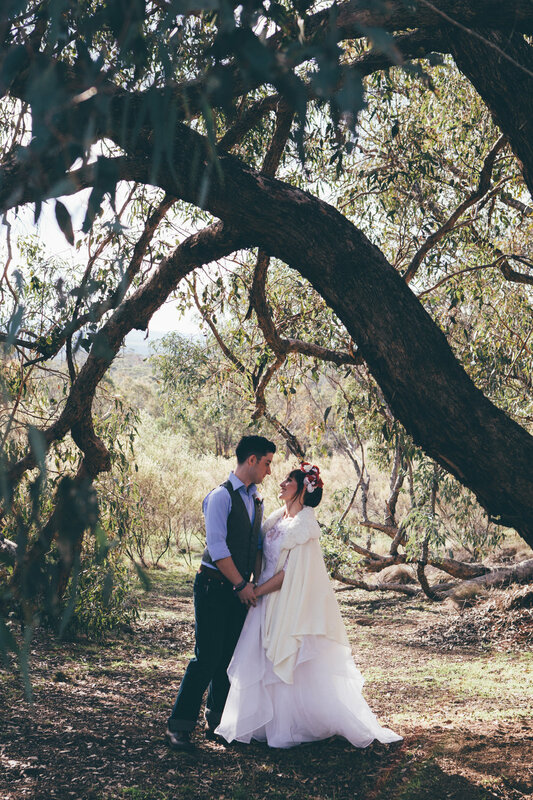 Imagine being married on a hilltop, with 360 degree views of the Victorian Goldfields. Eagle Dream Lodge is more than a spectacular location. It offers the perfect setting for your country wedding, in romantic seclusion on 77 acres of rustic bushland and just 1.5hrs from Melbourne. At your disposal, high on the hill, are the house itself and the Bedouin Tent as a blank canvas for your own wedding style. You may even want to stage your wedding under one of the larger trees. Friends and relatives can be accommodated in our bell tents or bring their own to camp on the property. Sally-Ann will work with you to plan and design your unique country wedding using all that Eagle Dream Lodge has to offer.